The Redmi Note 7 was announced and launched in China last month (January), the company teased everyone and said that it will be released in India as well. Manu Kumar Jain, the head of Xiaomi in India dropped hints too, recently a leak was seen and showed the color options, ram, and internal storage options. The Redmi Note 7 is a budget focused phone that has competitive specifications, the phone is reportedly going to be sold through their website only. The Redmi Note 7 has a 48-megapixel rear camera, 13-megapixel front camera for selfies, a Snapdragon 660 processor, and a 4,000mAh battery. The phone will have a 6.3-inch full-HD+ display and will have up to 6GB of RAM. It is rumored that the Redmi Note 7 will have the same price as the price it has in China. The phone starts around CNY 999 in China for the 3GB RAM and 32GB Internal Storage variant, this is about 10,500 INR. The 4GB RAM + 64GB internal storage variant is around CNY 1,199 which is about 12,400 INR. And the 6GB RAM + 64GB internal storage variant costs around CNY 1,399 which are around 14,500 INR. A report suggests that there will be 2 variants that are going to be released in India, the variants are the 3GB RAM and 32GB Internal Storage variant and the 4GB RAM + 64GB internal storage variant. The 6GB RAM + 64GB internal storage variant will be released later this year. The phone will be offered in 3 colors, which are Blue, Red, and Black. The company was also seen teasing its followers on Twitter, it showed the arrival of the phone that has a 48-megapixel rear camera, and said that the phone will be available soon. Xiaomi is still going to make an official announcement for the launch of the phone here in India. 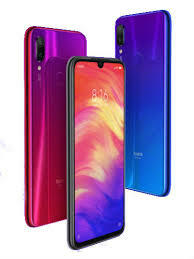 The Redmi Note 7 is known as a durable phone, Liu Weibing the CEO of the company also showed the phone being used as a chopping board, being jumped on, and was also seen taking falls from the stairs. The phone has a 2.5D glass that helps it protects its front and back exterior. The phone has a waterdrop notch, dual rear cameras, a fingerprint scanner in the back, and a gradient back panel that makes the finish looks good. The phone also supports night camera mode which they call Super Scene Camera Mode, this mode was first seen in the Mi Mix 3. As the phone is already available and being sold in China, the chances are pretty big that India will get the same hardware and will have similar prices. The Redmi Note 7 supports dual-SIM (Nano), has a 6.3-inch full-HD+ display that has an aspect ratio of 19.5:9, a Corning Gorilla Glass 5, and it uses 2.5D curved glass for its protection. The phone has an octa-core 2.2GHz Snapdragon 660 processor, 512 Adreno Graphics, and RAM options of 3GB, 4GB, and 6GB. The internal storage will vary from its variants, the phone will offer 32GB or 64GB internal storage options that is expandable to 256GB if you add a microSD card. The Redmi Note 7 will have a dual rear camera setup with a 48-megapixel Samsung GM1 sensor that has an f/1.8 aperture and the second camera is a 5-megapixel sensor with a dual-LED flash. The front camera is a 13-megapixel sensor that allows its owners to take splashing selfies. The phone will have a 4,000mAh battery with Quick Charge 4 support. For its connectivity the Redmi Note 7 has a Type-C port, 3.5 mm audio jack, GPS, AGPS, GLONASS, 4G VoLTE, Bluetooth v5, and Wi-Fi 802.11a/b/g/n/ac. The phone is around 186 grams heavy and has a measure of 159.21×75.21×8.1mm.